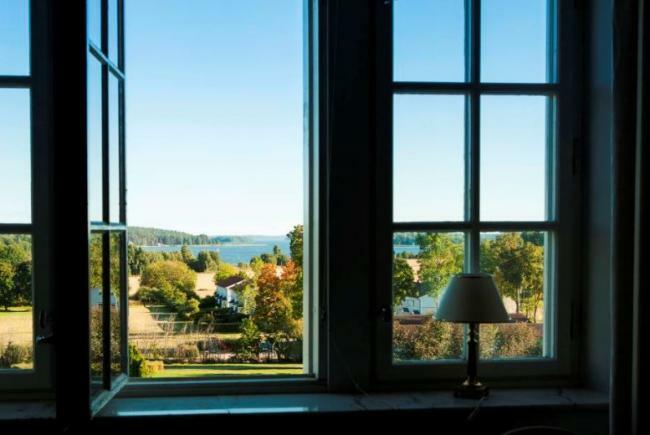 The 11th Cloud Control Workshop is held at the Swedish Castle Haga Slott, by the Mälaren Sea (not to be confused by the Haga Slott of the Swedish Royal family). The 82 registered participants (by invitation only) includes researchers and technology leaders from Universities and industries world-wide, most of them being rather senior individuals. As always, the aim of the 11th Cloud Control Workshop is to foster multidisciplinary research in cloud management, leveraging expertise in areas such as autonomic computing, control theory, distributed systems, energy management, machine learning, mathematical statistics, performance modeling, systems management, etc. By providing an understanding of the research challenges ahead and by fostering multi-disciplinary research collaborations, the ambition is to shape the future of cloud management. The workshop targets leading researchers from any scientific discipline with potential to contribute to this multidisciplinary topic. The workshop format will be to mainly focus on multi-disciplinary research discussions in parallel sessions but also include some keynotes and some short scientific presentations on planned, ongoing, or completed research. Participants are encouraged to propose discussion topics beforehand and to take active part in any discussions with the ambition to make progress on any topic of interest to the participants. The 11th edition will strive for a strong focus on cloud management using the techniques listed above, rather than on cloud in general. The format will to a large extent resemble the format of the 7th and 9th edition. Hence, there will be no papers and no proceedings, but plenty of time for presentations and discussions among an interesting and multidisciplinary group of researchers from academia and industry. The workshop presentations include one keynote, a 18 short presentations, 5 very short presentations by young researchers, and a 16 long discussion sessions in 4-way parallel sessions, as well as a panel discussion. An important part of the meeting is also the opportunity to informal discussions in a nice atmosphere, with all participant at the same place and not many other people around. The 82 registered participants include 57 academic researchers and 25 industrial researchers and technology leaders from companies such as Ericsson, Intel, Google, Red Hat, Twitter, Tieto, SAAB, and others. The participants, of which most are rather senior, represents organizations in 16 countries, with Sweden being dominating before (in order) the United States, Ireland, Italy, France, Germany, Norway, Israel, Netherlands, Switzerland, and more. To ensure the development and renewal of the workshop series, a majority of the participants attended for the first time. Despite the increased adoption of cloud computing, we do not possess (yet) a good handle on how to define and verify “cloud trustworthiness” — how to design mechanisms that allow control of attributes related to performance, reliability, security, privacy, and economic utility, and how to expose tradeoffs along these dimensions to cloud customers in ways that are both practical and usable. In this talk, I will summarize research pursued for almost a decade at Boston University, aiming to address these issues. I will start by presenting models for the expressive specification of elastic cloud supply and demand that enable management and control of an efficient, trustworthy cloud marketplace, which I will exemplify by presenting three game-theoretic mechanisms for cloud resource management. The first mechanism enables selfish parties to collocate their workloads in an attempt to minimize the individual costs they incur to secure the shared cloud resources necessary to support their application requirements. The second mechanism enables rational parties to coordinate their use of a shared resource so as to maximize their individual utilities by creating a marketplace for trading usage rights. The third mechanism enables dynamic pricing of IaaS clouds in a way that ensures efficient utilization of providers’ resources, while guaranteeing rational fairness to all customers. I will conclude with an overview the Massachusetts Open Cloud (MOC), the first prototypical implementation of an Open Cloud eXchange (OCX) marketplace that makes the adoption of these (and other) trustworthy mechanisms possible in an operational at-scale setting. Time permitting, I will present examples of platforms that we have developed on the MOC, targeting applications ranging from smart-city data mechanics to secure multi-party analytics over private data assets. Azer Bestavros is Warren Distinguished Professor of Computer Science and the Founding Director of the Hariri Institute for Computing at Boston University, which was set up in 2011 as an incubator for high-risk, high-reward cross-disciplinary collaborations. Notable incubated efforts that he launched at the Institute, which matured into multi-million-dollar projects, include the $25M+ Mass Open Cloud Exchange, $10M NSF Cloud Security Frontier project, $5M Red Hat open-source innovation collaboratory, and the $1M+ SCOPE cloud platform for enabling smart-city applications. In addition to research, the Institute has served as the anchor of number of university initiatives, including the Data Science Initiative, the Digital Health Initiative, the Digital Learning Initiative, and the BU Spark! program for student-driven innovation. 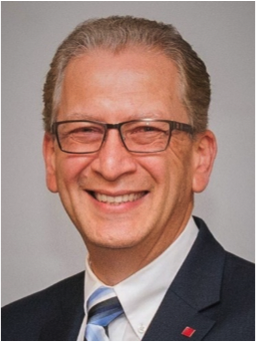 A distinguished educator and scholar, Professor Bestavros pursues research in networking, distributed computing, cybersecurity, and high-assurance systems. His seminal contributions include pioneering studies of web push caching through content distribution networks, self-similar Internet traffic characterization, game-theoretic cloud resource management, and safety certification of networked systems and software. As of 2016, funded by over $25M from government and industry sponsors, his research has yielded 18 PhD theses, 8 issued patents, 2 startups, and hundreds of refereed papers with over 17,400 citations according to Google Scholar. Prior to his inaugural role at the Hariri Institute for Computing, Professor Bestavros chaired the Computer Science Department at Boston University from 2000 to 2007, having joined it in 1991 after completing his PhD in Computer Science from Harvard University. 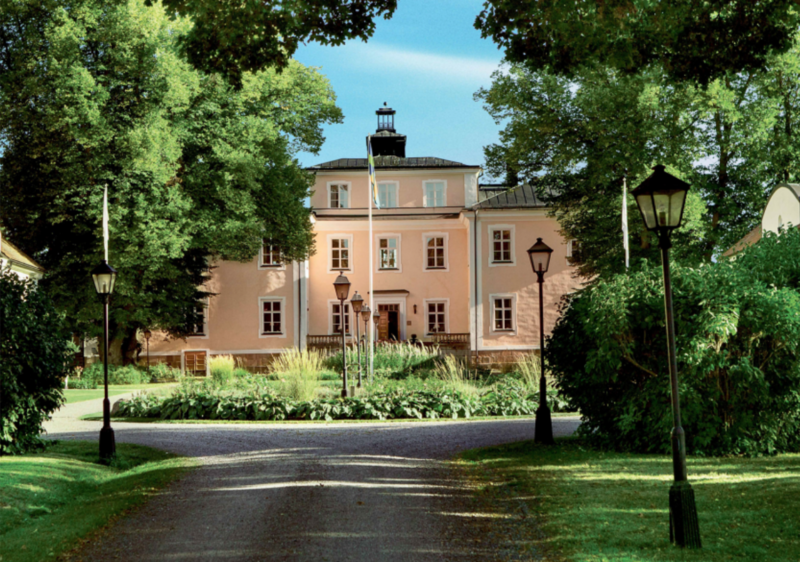 The workshop venue is Haga Slott, Enköping, located by the Mälaren Sea. 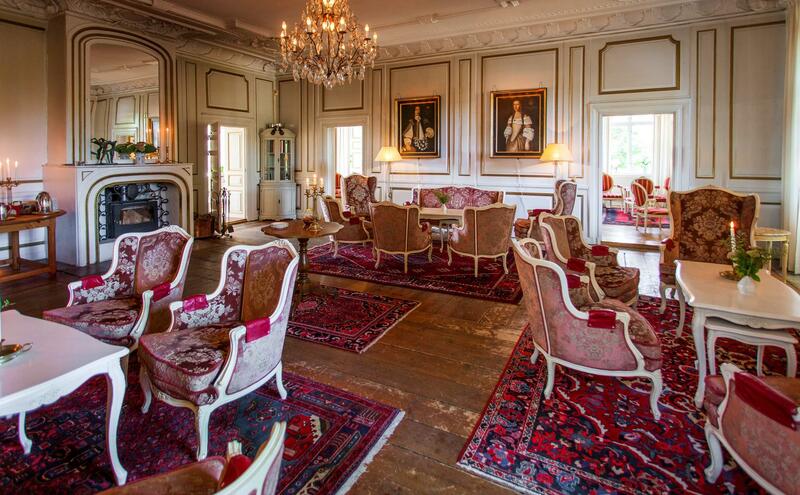 This is an old Castle at a beautiful and remote location that will provide not only excellent conditions for the workshop sessions but also a relaxed atmosphere for further discussions or outdoor activities during the long summer nights. Bus leaves Arlanda Airport at 8.40 on June 12 (from Terminal 4’s bus stops 16-18). Gathering immediately outside the exit of Terminal 4 at 8.30. Bus arrives Arlanda Airport (Terminal 4) no later than 16.30 on June 14. Participation is by invitation only. If interested to participate, please send an email to Erik Elmroth (elmroth@cs.umu.se). Note, however, that the number of participants is limited. By registering, you commit to pay this to the hotel. Any additional costs for the arrangement and the joint bus transfer to and from Arlanda airport is covered by the workshop organizers. 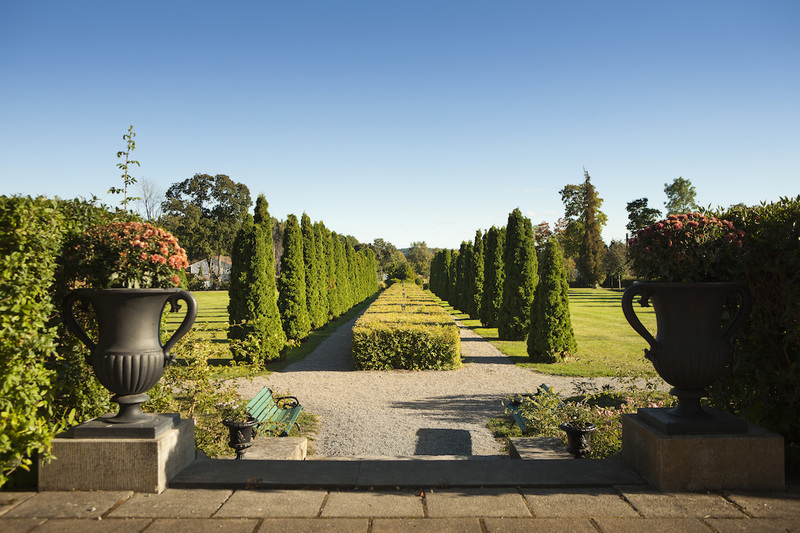 Although we expect the venue to make discussions last into the bright summer nights, we recommend also other outdoor activities as various kinds of games and sport, simply enjoying the nature, going for a swim in Mälaren (on short walking distance), or enjoying the indoor SPA with pools and Sauna.